The former deputy communications director for Bernie Sanders is launching the PR practice for progressive shop Revolution Messaging. 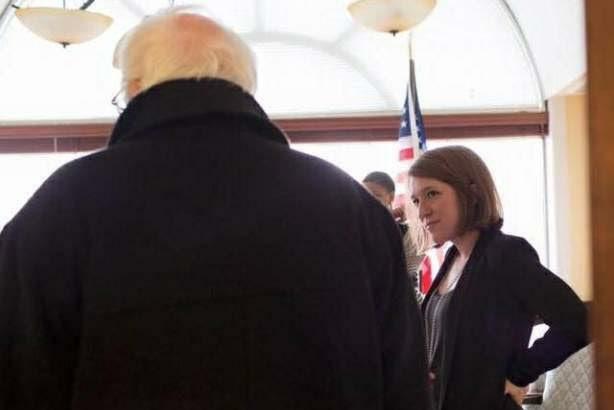 WASHINGTON: Revolution Messaging, a politically progressive digital agency, has hired Arianna Jones, former deputy director of communications for Sen. Bernie Sanders’ (I-VT) presidential campaign, to launch its PR practice. Revolution Messaging worked on digital strategy for the Sanders campaign, where the relationship between Jones and the firm began. Sanders’ campaign officially ended last month. "There was a bit of an overlap, and I got to work with [the Revolution Messaging team] most specifically during debates, doing debate response," Jones said. "This is a natural progression. They're going to be continuing the revolution that started with Sanders. I can't think of a better fit." As SVP of PR, Jones will work with clients on PR strategy development and media relations. She started in the role at the end of July, based in the firm’s Washington, D.C., office and reporting to partners Keegan Goudiss, Tim Tagaris, and Arun Chaudhary, and CEO Scott Goodstein. She is the only member of the new PR practice, which the firm expects to grow. Revolution Messaging also works on advertising, creative, fundraising, technology, and video for clients. "One of the things that drew me to Revolution was that they take on progressive clients who are doing that hard work," Jones said. "It's going to be about making sure those clients who otherwise don't have in-house staff can have PR strategies implemented from a full-service firm." Jones had worked on Sanders’ campaign since last June. Prior to that, she spent five years with MSNBC as a segment and booking producer.